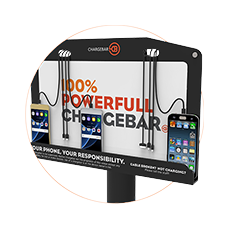 Chargebar is Australia’s favourite charging solution provider for gyms, and entertainment venues. A phone charging station is a great way to go that extra mile for members, revellers, and the public. Phone charging services set a new standard in customer service, adding a modern twist to the experience a venue offers. Phones are always in use at any entertainment, fitness, or amusement venue, to take photos, communicate, and post on social media. 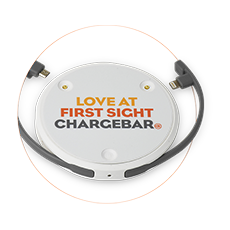 A Chargebar keeps patrons snapping, tweeting, and promoting your business. Providing mobile charging services maximises patron dwell time, and overall spend. Riley LED Chargebars can be found mounted to walls of most gyms in Australia, providing a convenient service to members and visitors. Foster kiosk Chargebars are present at entertainment venues such as arenas and stadium, attracting lots of attention, and providing a great service. Chargesafes can be found in stadiums around Australia, keeping fans connected, ensuring they can capture any moment. 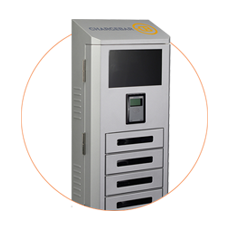 If you only need a Chargebar for a few days, or a special event, give our Chargebar approved Event Hire partner a call on 1800 399 244. Manage lots of events? Looking to re-use your Chargebar? Give Chargebar a call on 1300 887 426 for the best outright purchase pricing guaranteed. people searching for Chargebar on mobile app. Our regulars and fresh customers alike always comment on our Kippax, and love the service it provides.